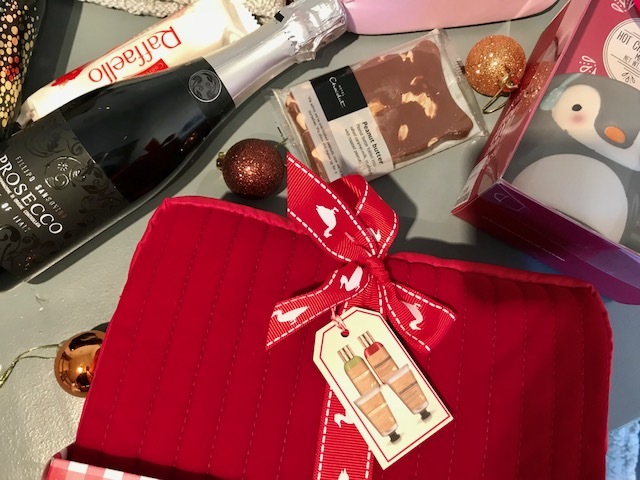 Similarly to my last minute gifts for men I have put together a few ideas for the ladies! I find it a lot easier to shop for the women in my life as I only have my mum to pick for! Well I say that but I tend to choose a lot for Darren’s family members too!! 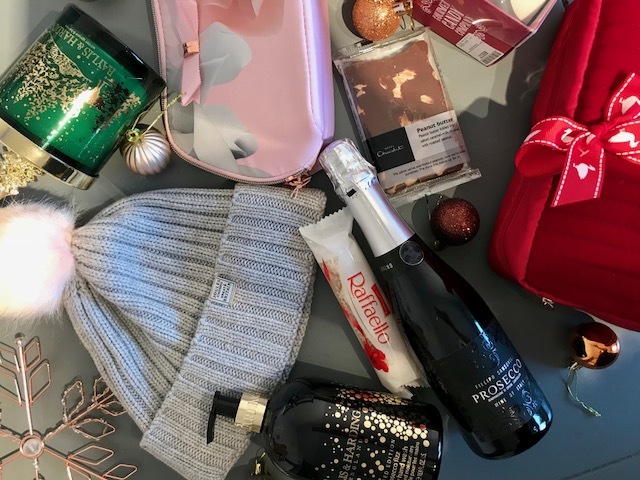 Today’s post features a few bits and pieces very similar to the last but as always these gifts you can buy for anyone (trying not to gender stereotype over here) of course there has to be some chocolates included as it’s a must at Christmas time! And obviously alcohol, this bottle of prosecco is a sort of half bottle usually just enough for two big glasses! I think it would make the perfect Christmas morning treat. 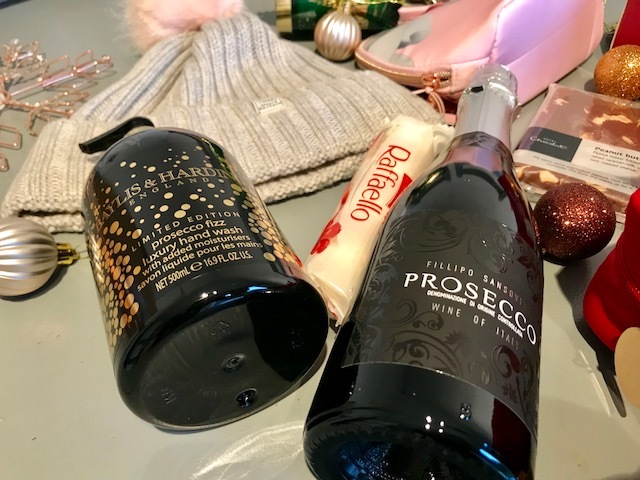 Speaking of prosecco (good little lead on there) I found this amazing prosecco fizz hand wash from Baylis and Harding. I know my mum will love this especially at Christmas time !! Hand wash probably isn’t high on your list as choosing for a gift but when it’s in a pretty bottle and it’s a nice scent then why not! 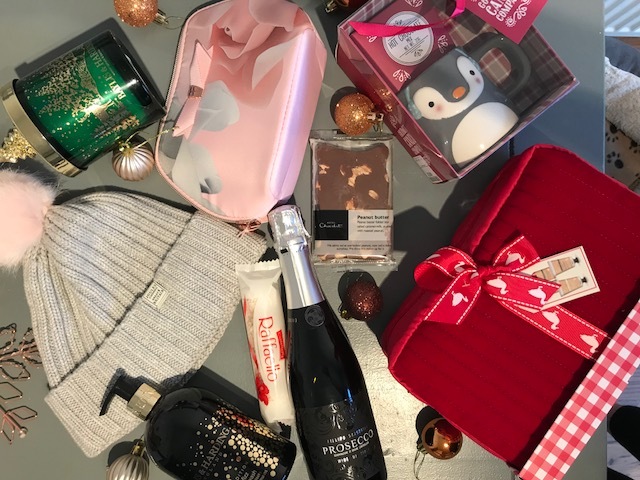 I have also included this Baylis and Harding gift set that has four minis in that are perfect for taking on a weekend away! The bag is lovely too. This hat that I have featured isn’t a gift as it’s mine! It’s sooo cute and as I have a pink coat at the moment I though it would look so nice this winter! I found it on the Amara website but it’s from Joules. They have a fab range of gifts and they are categorised really well to help you find what you need. Who doesn’t want a candle for Christmas! Especially one that has a gold Christmas tree on the lid! I have seen a few like this recently I think they look so cute and add to your Christmas decorations. Finally in this guide I added a mug and hot chocolate gift set. 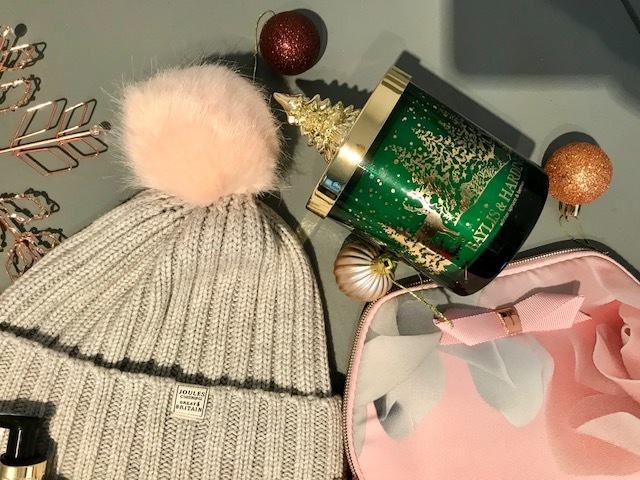 I found this one in TK Maxx but you could easily buy a mug and fill it with those individual hot choc sachets and some candy canes for a Christmassy touch!